Asteroid AG3 missed the Earth by more than three million miles (4.9 million km), 12.86 times the distance from Earth to the moon, which may be considered a narrow miss on the cosmic scale, especially given the speed of space rocks. A giant asteroid dubbed Asteroid 2019 AG3, a massive space rock, flew past Earth on Monday (Jan 14, 2019), in the early hours of the morning (GMT), according to NASA. The space agency had apparently spotted it about a month ago. Luckily, the massive space rock was not on an impact trajectory with our planet. 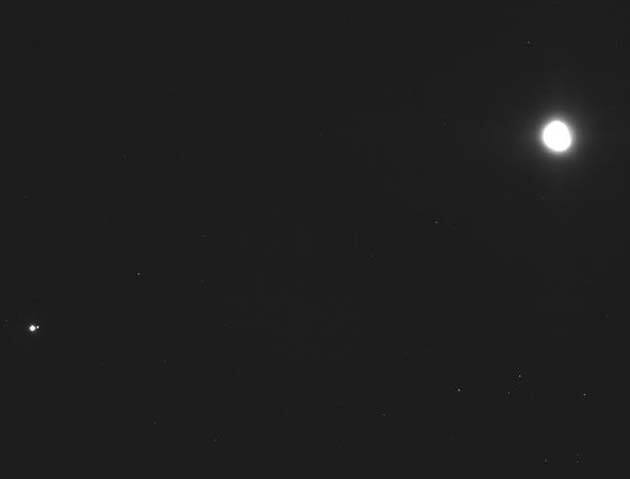 NASA’s scientists at the California-based Jet Propulsion Laboratory (JPL) have tracked the asteroid down to a 2.18 am GMT (UTC)-flyby. JPL estimates that AG3 measures somewhere in the range of 210 ft to 459.3 ft (64 m to 140 m) in diameter. An asteroid this big is about twice the wingspan of a Boeing 747. Asteroids 460 feet (140 m) in diameter are considered "potentially dangerous asteroids" (PHAs) when approaching the Earth, closely. Near-Earth Objects (NEOs) are comets and asteroids that have been nudged by the gravitational attraction of nearby planets into orbits that allow them to enter the Earth’s neighborhood. Mostly composed of water ice with embedded dust particles, comets originate in the cold outer planetary system while most of the rocky asteroids form in the warmer inner solar system, between the orbits of Mars and Jupiter. 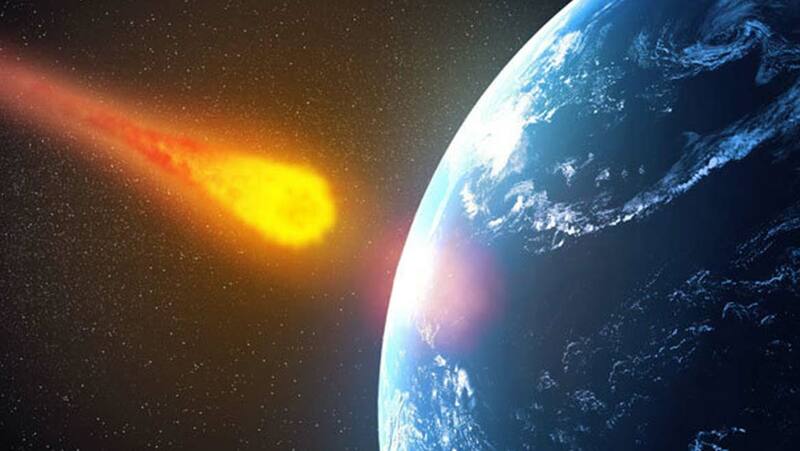 The scientific interest in comets and asteroids is largely due to their statuses as relatively unchanged remnant debris from the solar system formation process about 4.6 billion years ago. The giant outer planets (Jupiter, Saturn, Uranus, and Neptune) formed from an agglomeration of billions of comets; the leftover bits and pieces from this formation process are the comets that we see today. Likewise, today’s asteroids are the pieces left behind from the initial agglomeration of the inner planets including Mercury, Venus, Earth, and Mars. As the primitive, leftover building blocks of the solar system formation process, comets and asteroids offer clues to the chemical mixture from which the planets formed billions of years ago. If we wish to know the composition of the primordial mixture from which the planets formed, then we must determine the chemical constituents of the leftover debris from this formation process - the comets and asteroids. NEOs can be categorized into different groups based on several physical aspects, like in the following table. In the table q= perihelion distance, Q= aphelion distance and a=semi major axis. NEAs whose orbits are contained entirely with the orbit of the Earth (named after asteroid 163693 Atira). Earth-crossing NEAs with semi-major axes smaller than Earth's (named after asteroid 2062 Aten). Earth-crossing NEAs with semi-major axes larger than Earth's (named after asteroid 1862 Apollo). Earth-approaching NEAs with orbits exterior to Earth's but interior to Mars' (named after asteroid 1221 Amor). Potentially Hazardous Asteroids: NEAs whose Minimum Orbit Intersection Distance (MOID) with the Earth is 0.05 au or less and whose absolute magnitude (H) is 22.0 or brighter. Potentially Hazardous Asteroids (PHAs) are currently defined based on parameters that measure the asteroid’s potential to make threatening close approaches to the Earth. Specifically, all asteroids with a minimum orbit intersection distance (MOID) of 0.05 au or less and an absolute magnitude (H) of 22.0 or less are considered PHAs. In other words, asteroids that cannot get any closer to the Earth (i.e., MOID) than 0.05 au (roughly 7,480,000 km or 4,650,000 mi) or are smaller than about 140 m (~500 ft) in diameter (i.e., H = 22.0 with assumed albedo of 14%) are not considered PHAs. The most massive PHA was the gigantic Apollo, believed to measure approximately 4.3 miles in diameter. Separately, NASA reported that it was monitoring a trio of rogue asteroids, expected to skim past the Earth on Tuesday within hours of each other. According to one report, the researchers have cataloged about one-third of the estimated 25,000 NEAs that are at least 460 feet and potentially pose a danger to the planet.